This study sought to establish whether and how writing their own reflections in open online reflective journals (ORJs) can encourage and support online learners to engage in self formative assessment and meaningful reflections. The study employed case-study methodology within the context of postgraduate teacher education. The study findings show that the open ORJs encouraged self assessment and provided opportunities for students to openly articulate what and how they were learning while also receiving formative feedback. Through the opportunities to interact with others (teacher and peers) within individual reflective processes, dialogic feedback and meaning making emerged to offer a constructive link between internal and external feedback. These in turn supported the student to better understand and internalize the external feedback, and use it to regulate self for productive improvements. Shared reflective processes increased learners’ engagement in meaningful reflectivity both individually and collectively in ways that promoted transformative learning. Gikandi, J. (2013). How can open online reflective journals enhance learning in teacher education?. 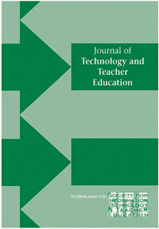 Journal of Technology and Teacher Education, 21 (1), 5-26. Waynesville, NC USA: Society for Information Technology & Teacher Education. Retrieved April 24, 2019 from https://www.learntechlib.org/primary/p/40611/.